There is an ISO 8, class 100,000 cleanroom on the 8th floor of the Aerospace Faculty building. The cleanroom was established in 2005 and has officially been registered as an Aerospace Engineering facility since 2012. 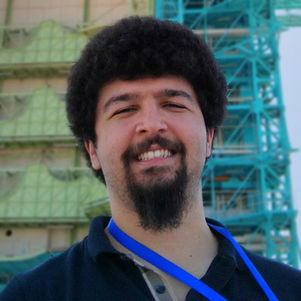 Its mission is to facilitate high-level research on space systems while, at the same time, providing students with education and training in a professional environment. The cleanroom is an immaculately clean laboratory, in which work is conducted as meticulously as possible so that the risk of particle contamination is minimized. The laboratory has various test rigs, a vacuum oven, and a Helmholtz Cage used for testing Attitude Control Systems (ACS) of nanosatellites, among other equipment. Students and researchers use the cleanroom to build and test hardware for spacecraft, such as satellites. Delfi-C3 and Delfi-N3xt, the two CubeSats launched by the Delft University of Technology, were built and tested in the cleanroom. Adjacent to the cleanroom there is a workshop facility for construction, assembly, integration, and testing. It is equipped to perform mechanical, electrical and electronic activities to support cleanroom work. The workshop has different mechanical tools, a fixed drilling rig, electrical and electronic test equipment, power supplies, soldering stations, and a 3D printer. 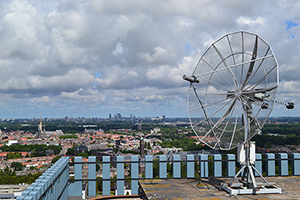 The roof of the EWI building hosts a multi-band satellite ground station that is the result of a cooperation between TU Delft, the Delft Space Institute, and ISIS – Innovative Solutions in Space. 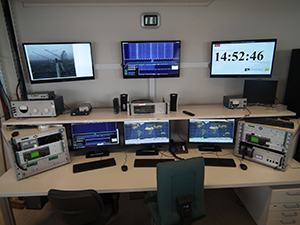 The radio equipment is used daily for satellite communication, from VHF to S-band, to control and download data from all the spacecraft built and operated by TU Delft and ISIS. This ground station, and the one owned by ISIS, are also part of a network aimed at sharing hardware to maximize data downlink, clearly demonstrating the benefits of public-private partnerships. This ground station is a key facility for the Delfi Space Program and has been used extensively by Delfi-C3 and Delfi-N3xt; the upcoming Delfi-PQ mission also plans to use this facility. This ground station is also used in several research projects for satellite communications and pulsar navigation. 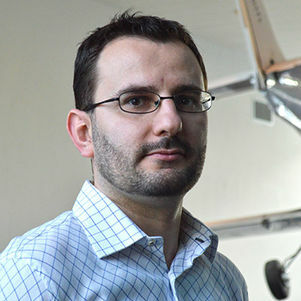 Currently it is also used for satellite orbit determination, as part of the educational curriculum in Aerospace Engineering. 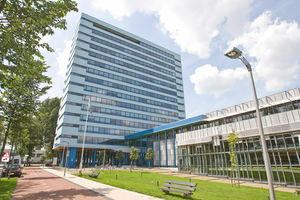 TU Delft is also a licensed spacecraft operator from the Dutch National Telecommunication agency. 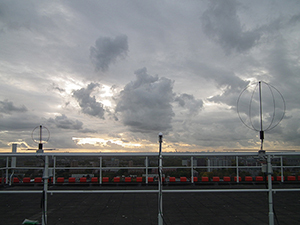 The ground station activity can be monitored live from the roof camera here. NOTE: this website will not work with Internet Explorer 9 or higher.